A new survey report from the Pharmacy Benefit Management Institute (PBMI) finds that the use of pharmacy deductibles and annual out-of-pocket limits is rapidly rising among employers. But as plan sponsors look for ways to manage mounting drug costs, the report identifies several opportunities to improve cost management and/or clinical management without having to shift additional costs to members. According to PBMI’s 2015-2016 Prescription Drug Benefit Cost and Plan Design Report, sponsored by Takeda Pharmaceuticals USA, Inc., 36% of employers reported having a prescription drug benefit deductible in 2015, compared with only 14% the year before. Plan sponsors are also shifting more costs to members through annual out-of-pocket limits, which were used by 33% of employers in 2015, up from 18% in the prior year’s survey. The survey results are based on the responses of 302 U.S. employers representing 16.3 million lives. Sharon Frazee, Ph.D., vice president of research and education at PBMI, says the 22-percentage-point jump in deductible use is particularly “striking” given that deductibles have historically been much more common in the medical benefit, but not surprising since employers want to continue to provide an affordable benefit without raising premiums. “Consumers are not accustomed to this, and it’ll be interesting to see what happens as far as member satisfaction and in terms of clinical impact,” she suggests to DBN. 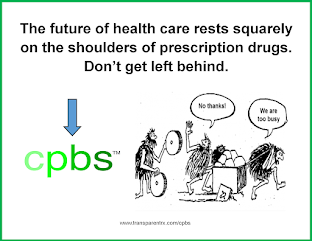 Meanwhile, several opportunities exist for greater plan sponsor adoption of utilization management tools such as reference-based pricing, pill-splitting and step therapy, observes PBMI. “Step therapy is really one of the bread-and-butter kinds of things for cost management and it’s something I think most consumers are used to, but it’s only used by 60% of smaller employers,” Frazee points out, referring to the 155 survey respondents with 5,000 or fewer covered lives. By comparison, nearly 80% of larger employers reported using step therapy in 2015. And reference-based pricing was used by only 11% of employers overall, compared with 12% the year before. Tyrone's Comment: For those organizations seeking to lower pharmacy benefit service costs, reference pricing is one of the most overlooked tools. Every week I publish a list of prescription drugs and their true acquisition costs along with reference pricing instructions. It is a simple and inexpensive way to conduct effective data-mining without the huge overhead associated with big data analytics software. Companies willing to allocate 8 hours, per month, for reference pricing analysis can realize a significant reduction in PBM service costs seemingly overnight. 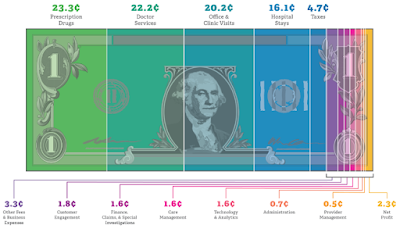 Managing pharmacy related costs is no longer just an HR responsibility; it is a fiduciary one. The report also identified opportunities to squeeze out additional savings through pharmacy network innovation. For example, 29% of respondents in 2015 report using a preferred pharmacy network, while only 13% were using a limited network (i.e., eliminating at least one major pharmacy chain). Meanwhile, 60% of employers offer a 90-day-at-retail option, but only about one-third of them require that members obtain their 90-day supply of maintenance medications from a limited network pharmacy. SOURCE: The Pharmacy Benefit Management Institute 2015-2016 Prescription Drug Benefit Cost and Plan Design Report, sponsored by Takeda Pharmaceuticals USA, Inc. Click here to download the report.